What is the Law as to Annulment in the State of Florida? 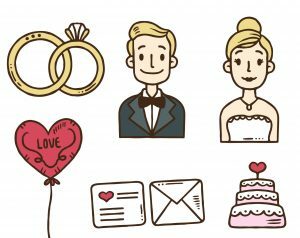 When two people are getting married, the excitement of planning and celebrating the upcoming matrimonial bliss is the focal point, but in actually, it is really two people entering into a legal binding contract. In order for the contract to be valid, there are certain requirements that have to be met. Parties have to come to a meeting of the minds and must be capable of entering into an agreement freely and voluntarily. Ultimately, when this contract is breached or broken, however, the parties go to divorce court. For most people, when a marriage ends, they file for divorce, because the marriage is irretrievably broken. But for a small fraction of individuals, an annulment can be filed, which states that the marriage was invalid from the beginning. While annulments can seem like an attractive or less complicated approach, it is not a simple fix and Florida has specific legal requirements and proof standards for a situation to qualify for an annulment ruling or court order.